/ Looking for the Best Scope for Your Rifle? Look No Further! Looking for the Best Scope for Your Rifle? Look No Further! If you own a good rifle, you can make it even better by owning the best scope. It doesn’t matter if you love to hunt game or simply enjoy shooting as a sport. A rifle scope is one of the best things you can buy to make your shots accurate. A scope is the “secret sauce” that you need if you’re a newbie with handling a rifle. With this optic tool, you can zoom and lock in on your target without much fuss. 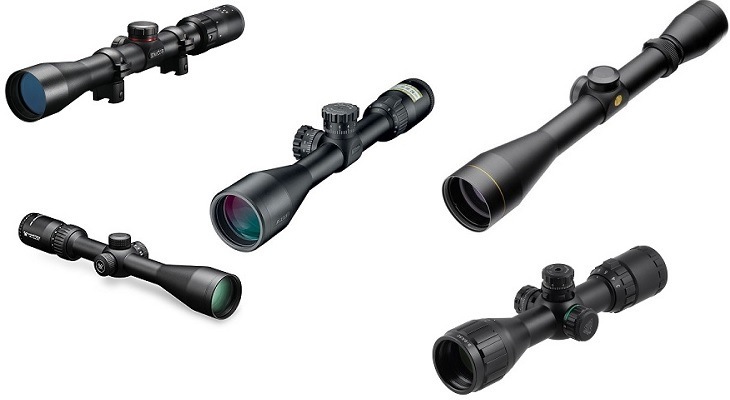 But which of the rifle scopes out there on the market deserves your consideration? You can have plenty of options, but not everyone manufacturers the quality that you might be looking for in a rifle scope. 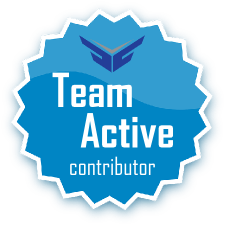 If you want to know which one are the best ones out there, continue reading on and find the scope that is for you. Perhaps the best of the best ﻿﻿scopes that we have on this list is the BugBuster Scope by UTG. 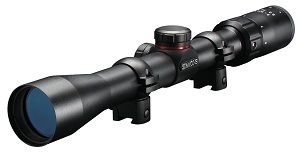 This rifle scope has the highest customer reviews with a 4.4 star ratings. More than that, it’s below $100 so very pocketbook friendly. 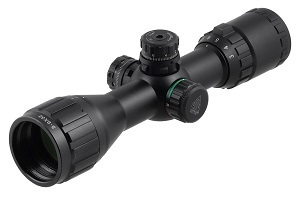 What’s great about this scope is that it comes with an emerald coating. This ensures that you get a precise target with maximum light transmission. The BugBuster comes with a range estimating feature that allows you to aim and shoot at targets at a distance. It has a large field of view as well and is built with UTG’s True Strength Platform for durability. Looking for an affordable ﻿﻿﻿﻿﻿﻿﻿﻿﻿scope? The Simmons .22 Mag(R) would be a very good choice for you. Priced under $100, this is one of the best scopes for the money that you can get on the market. The Simmons Mag(R) has HydroShield coated lens and fully-coated and high-quality optical glasses. This ensures that you get a clear detail for your targets. More than that, the Simmons offers a pre-set for parallax correction starting from 50 years and above. The SureGrip rubber construction of the scope also allows you handle it even in wet conditions (or if you have sweaty hands). It’s also shock proof, waterproof and fog proof. 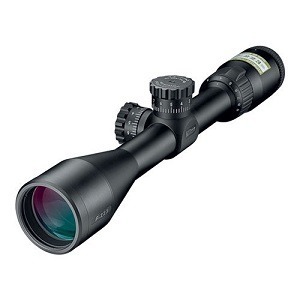 Under this list is the Mate BDC rifle scope from Nikon. It’s almost perfect with a 4.8 star ratings from customers. Like all of Nikon’s scopes, this one is imported and made of polymer. It’s a scope that is best for those looking for eye comfort. It provides a consistent and generous eye relief when spotting or hunting. It has the BDC 600 reticle too which allows you to shoot with an open circle aim which is pretty unique for rifle scopes. It comes with a shock and water proof body as well. So it’ll definitely serve you for a long time. The Nikon P-223 is very precise and allows you to zero in on targets without wavering. 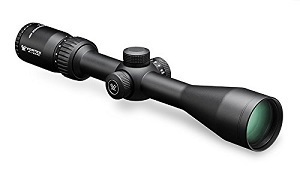 Of course, our quest for the best scope wouldn’t be complete without a Leupold riflescope on the list. We get to review the VX-1 scope which is another 4.8-star rated scope. It’s under $200 too so it’s fairly affordable especially if you want a scope from a trusted brand like Leupold. The VX-1 has 4 multicoatings for its lens. Leupold also added their own Quantum Optical System to ensure better optics. Dials are also easily adjusted with finger dials to help you zero in on your target quickly. You also get the guarantee of a sure focus with the lockable eyepieces that only comes with Leupold scopes. It’s also made to be durable with a water and shock proof body. If you have the money for it, you can invest in an expensive scope like the Diamondback Riflescope from Vortex Optics. 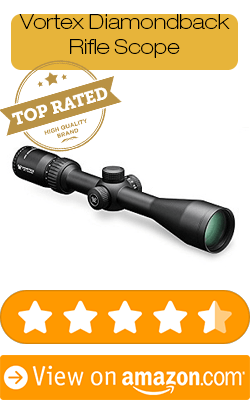 It’s another scope with an almost-perfect rating except for its price. The Diamondback is really high performance (HP) with its set of features that you would appreciate as a rifle owner. It has anti-reflective coatings so you get a clear sight on the target without worrying about too much light. The XD glass with an extra-low dispersion ensures that you get increased resolution and a better colour fidelity. It also offers 4x more magnification and comes with the XR full multi-coated lens. This ensures that you get the maximum light you need when sighting a target for a clear shot. You’re almost done at this point. What you have to do next is to choose which of these scopes are the best for your kind and type of rifle. Of course, if you have a budget to consider, you might want to consider UTG and Simmons for a first choice. Nikon and Leupold would be the best brands to choose for high-quality rifle scopes with mid-range prices. 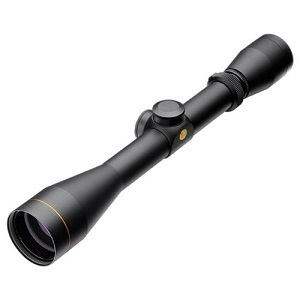 Want to go all out and invest on an excellent riflescope? The Diamondback HP from Vortex Optics is something I’d recommend for you. So which of these scopes appealed best to you? Don’t forget to let me know!